The services of roofing companies in Bloomington,MN, come in handy in a number of situations. Whether you want residential or commercial roofing work done on your premises, you should work with the professionals in the field. Roofing companies in Bloomington, MN are many. Choosing a company which will do your project to your satisfaction is, however, not that easy. When choosing a roofing company, you must bear in mind the magnitude of the project as well as your budget. Here are some of the reasons why you must choose a professional roofing company for the job. Not just anyone can provide roofing services. A professional company is your best bet because it has trained roofing experts who have completed roofing jobs before. if you work with professionals, you do not run the risk of having a poor job done. The experts have been trained on various roofing methods and they know which method to apply depending on the type of roof that requires repair or installation. When you work with a reputed company, chances are high that they offer services beyond what is ordinary. A big company that has been in existence for many years is the best to work with. This means that they have tackled a wide range of services that vary in complexity. When you work with such a company, you should expect services such as roof installation, repair and even renovation services. These professionals work closely with other technicians like electricians and plumbers. In big roofing companies, you may be lucky to find a technician who can handle your roofing needs as well as other services such as plumbing. 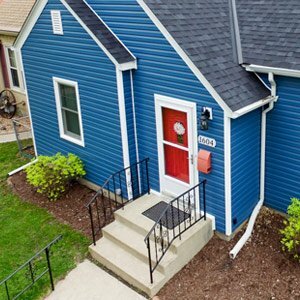 The other benefit of working with a roofing company which is reputable and experienced in the field is that you can take advantage of warranties on their work. Chances are that the company will also provide roofing products. The warranty allows you to come back and get work done to your satisfaction should problems arise after a project. Our roofing services are tailored in such a way that your project is completed within a desirable time-frame. We do not compromise on quality just to finish the job early. With our experienced technicians, we are able to work on projects with efficiency. When you choose us for a roofing job, we will send in an expert to assess the workload. In the instance that you need a repair job done, the expert will assess the damage and the magnitude of the work before a quote is given. We do not charge for any roofing working until we inspect the roof and provide an estimate. Choosing a professional company like ours is very crucial. This is because during a roofing project, your premises will be used by strangers. However, with a good team of trusted roofing technicians, you do not have to worry about theft, damage of property and accidents within your premises. We have insured our technicians and we adhere to safety standards that protect both you and our employees. 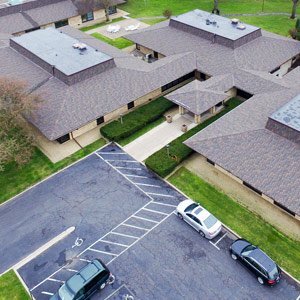 Choose us today for quality roofing services in Bloomington! Check Here for getting more information related to Roof Replacement Contractor Minneapolis .